News | | Brixham Does Care is a registered befriending charity founded in 1978, which attempts to combat loneliness, isolation and despair. We offer support to people of all ages and client groups in communities. 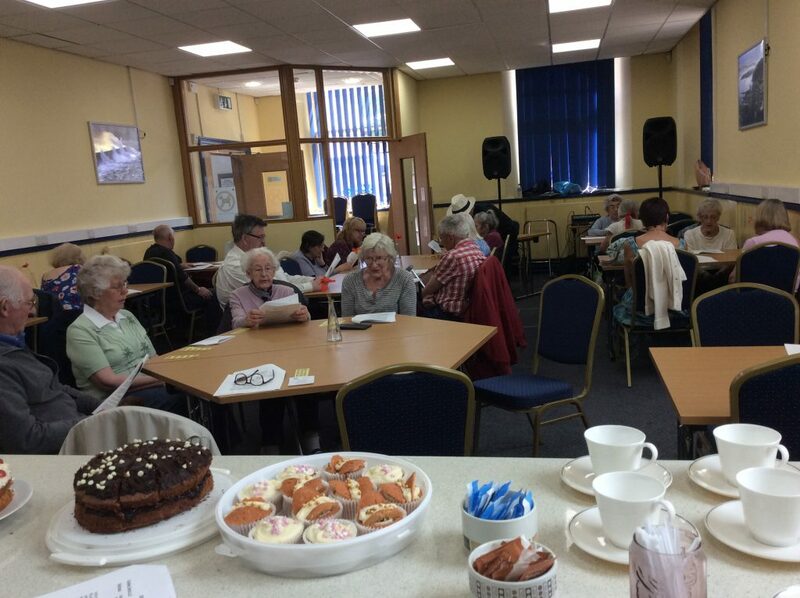 LOCAL BEFRIENDING CHARITY Brixham Does Care is hosting Martyn & Josephine’s Marvellous May Song & Dance Party in the Brixham Does Care Café (aka The Function Room) in the Town Hall on Monday 20th May 2019 from 1.45 to 3.45pm. Tickets £4 (including a cuppa and a slice of Josephine’s delicious cake) are available from the BDC Office next door. 01803 857727. Everyone is invited to join hosts Martyn & Josephine Paddon for an afternoon full of fun and entertainment. Bring your air guitar or any other musical instruments. You might even feel like a dance! The last party ended with everybody twisting between the tables. Who knows? Next time could find us all dancing in the street! Doors open at 1.15pm. Singing is thirsty work ! LOCAL BEFRIENDING CHARITY Brixham Does Care is hosting Martyn & Josephine’s St. Valentine Song & Dance Party in the Brixham Does Care Café (aka The Function Room) in the Town Hall on Monday 11th February 2019 from 1.45 to 3.45pm. Tickets £4 (including a cuppa and a slice of Josephine’s delicious cake) are available from the BDC Office next door. 01803 857727. Everyone is invited to go along and sing along with hosts Martyn & Josephine Paddon for an afternoon of fun and entertainment. Feel free to take along your air guitar or any other musical instruments. You might even feel like a dance! Doors open at 1.15pm.